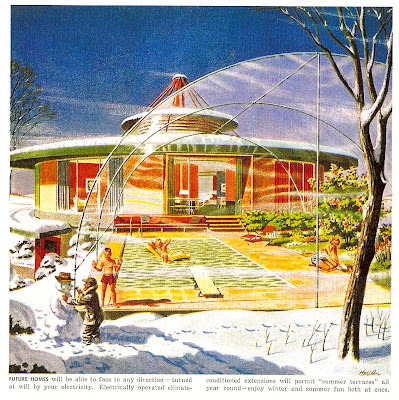 The image above is the "home of the future" where "electrically operated climate-conditioned extensions will permit 'summer terraces' all at will by your electricity." The text for this ad from America's Independent Electric Light and Power Companies is featured below. The ad can be found in the book The Golden Age of Advertising - The 60s.